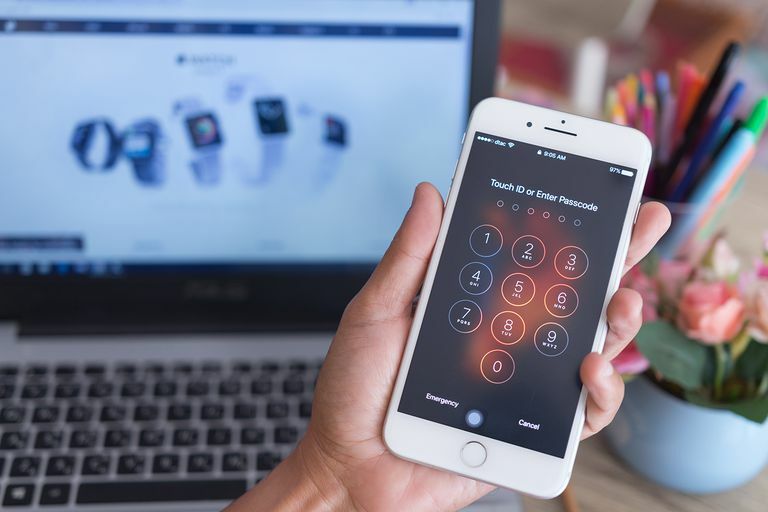 The iPhone's passcode feature is an important way to keep prying eyes out of your personal data, but what if you forget your iPhone passcode? Entering the wrong passcode six times triggers a message that says your iPhone has been disabled. And, depending on your settings, entering the wrong passcode too many times could lead to your iPhone deleting all of its data. You don't want that! Whether you've gotten this message or just know you've forgotten your passcode, follow these steps to regain access to your iPhone. Unfortunately, there's really only one way to solve a forgotten iPhone passcode and you may not like it. You have to erase all the data on your iPhone and restore your data from backup (assuming you have a backup, that is). Erasing all data from your iPhone erases the old, forgotten passcode and lets you set up the phone again with a new passcode. This may seem extreme, but it makes sense from a security perspective. If your iPhone was stolen, you wouldn't want it to be easy to bypass the passcode and access your data. The problem, of course, is that this approach erases all of the data on your iPhone. This isn't a problem if you have a recent backup of that data you restore onto your phone (this is a good reminder: if you have access to your phone, make a backup right now and get in the habit of doing it regularly). But if you don't, you will lose anything added to your phone between when you last synced with iCloud or iTunes and when you restore it. Want to learn how to backup your iPhone? Check out How to Backup Your iPhone and How to Set up iCloud & Use iCloud Backup. There are three ways you can erase the data from your iPhone, remove the passcode, and start fresh: by using iTunes, iCloud, or Recovery Mode. iTunes: If you have physical access to your iPhone, sync it regularly with a computer, and have that computer nearby, this may be the easiest option. Here are step-by-step instructions on using iTunes to erase and restore your iPhone. iCloud: If you've enabled Find My iPhone on your device, you can use iCloud to erase it. Use this option if you don't have access to the phone or if you sync with iCloud and not iTunes. Check out these instructions on how to use iCloud to erase your iPhone. Recovery Mode: This is your only option if you've never synced your phone with iTunes or iCloud. In that case, you probably won't have your data backed up and will lose what's on your phone. That's not good, but at least you'll be able to use your phone again. Read this to learn how to put your iPhone into Recovery Mode. Setting up iPhone from scratch: Choose this if you want to start completely fresh with your iPhone and don't want to restore any data (or don't have any to restore). Restoring from backup: This is best if you have a backup of your data, either on iTunes or iCloud and want to put it back onto your phone. We have the instructions for restoring an iPhone from backup. Redownloading content: Even if you didn't have a backup, virtually anything you've bought from the iTunes, App, and Apple Books Stores can be redownloaded to your device. Learn how to redownload iPhone purchases. What If You Forgot a Restrictions Passcode? There's one other kind of passcode you may have on your iOS device: the passcode that protects Restrictions. This passcode allows parents or IT administrators to block certain apps or features and prevents anyone who doesn't know the passcode from changing those settings. But what if you're the parent or administrator and you forget the passcode? In that case, the options mentioned earlier for erasing and restoring from backup will work. If you don't want to do that, there are various third-party programs that can help you bypass this passcode and regain access to your device again. We haven't tested all of the options out there, so some research at your favorite search engine is probably your best bet for finding a tool that can help.